9. On Thursday, Queen Mathilde of the Belgians wore gold earrings with her usual bracelets and rings for a visit to the Haute Ecole Libre Mosane in Liege. 8. 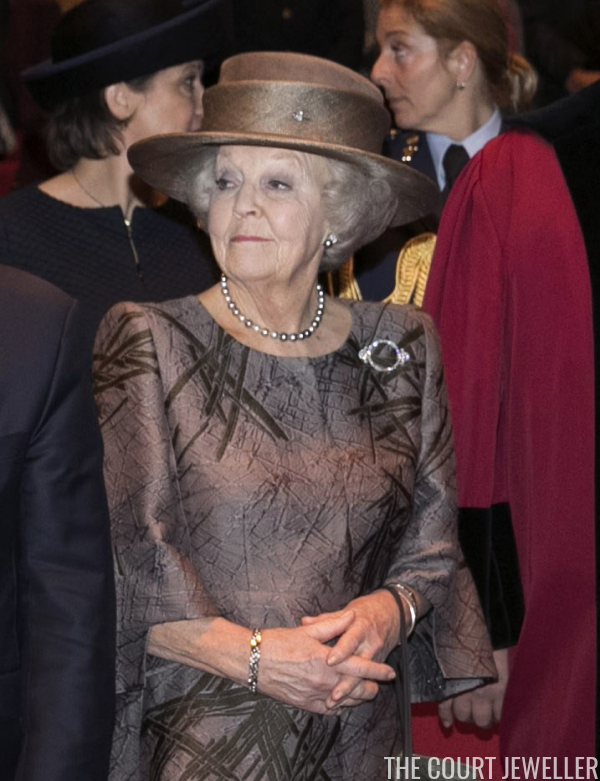 Princess Beatrix of the Netherlands wore gray pearls and a diamond circle brooch at Maastricht University on Tuesday. 7. 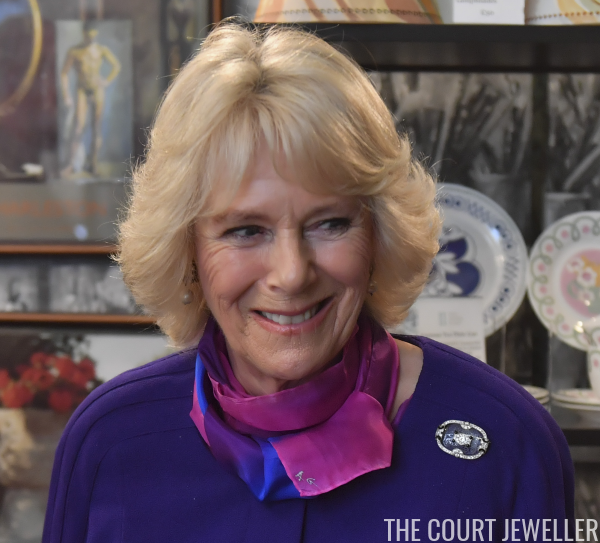 The Duchess of Cornwall chose a brooch from the late Queen Mother's collection for a visit to the "Sussex Modernism: Retreat and Rebellion" exhibition at Two Temple Place in London on Tuesday. 6. 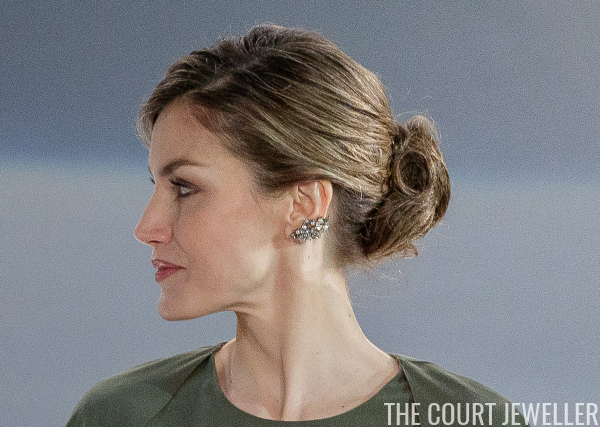 At the Innovation and Design Awards in Alcala de Henares on Monday, Queen Letizia of Spain wore a lovely, trendy pair of floral ear cuffs. 5. 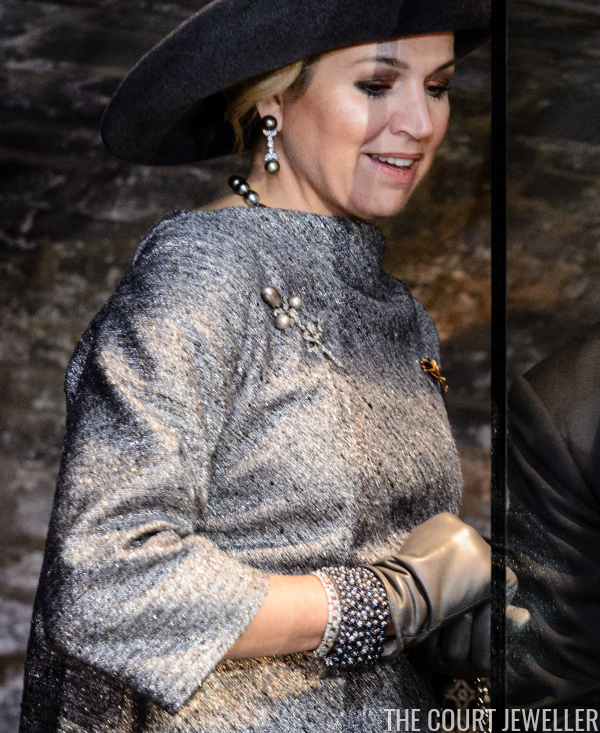 King Willem-Alexander and Queen Maxima of the Netherlands visited Germany this week; during a tour of the old synagogue in Erfurt on Wednesday, Maxima wore multiple pieces set with diamonds and gray pearls. 4. 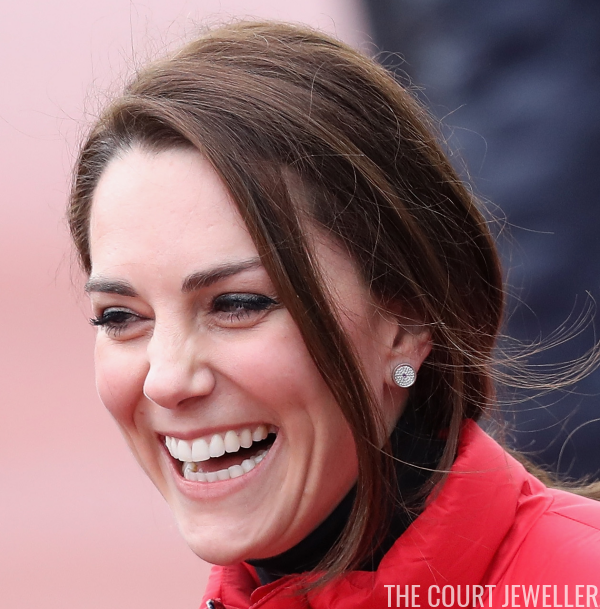 For Thursday's visit to the Spinlab in Leipzig, Maxima wore pieces of diamond and aquamarine jewelry that belonged to the late Queen Juliana. The small bow pinned to Maxima's jacket is the ribbon of the Order of Merit of the Federal Republic of Germany. 3. 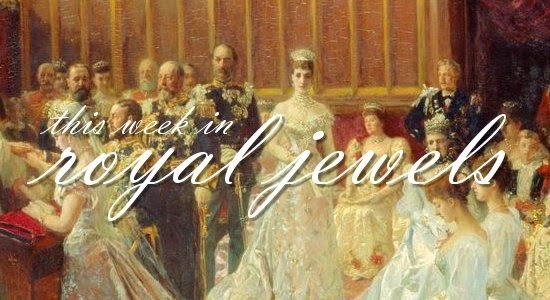 On the day before her big Sapphire Jubilee anniversary, Queen Elizabeth II of the United Kingdom attended a Sunday church service in Norfolk; she wore one of her most important brooches, the Cullinan V Brooch.